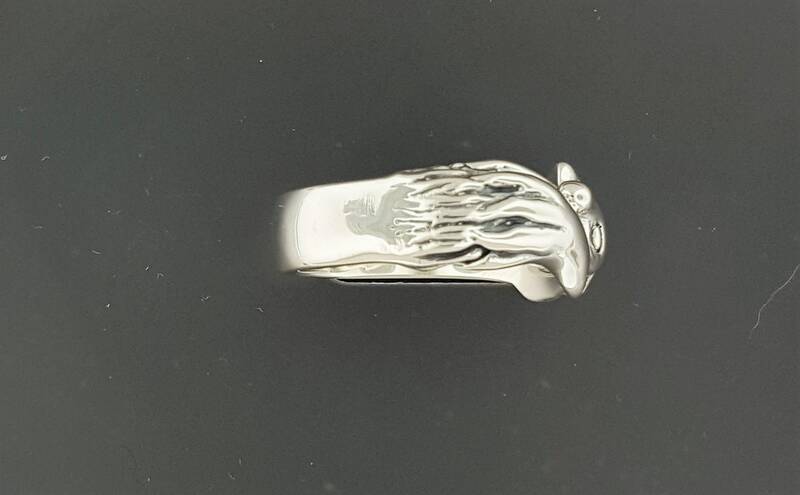 This is a handmade 0.925 sterling silver fox ring created recently. 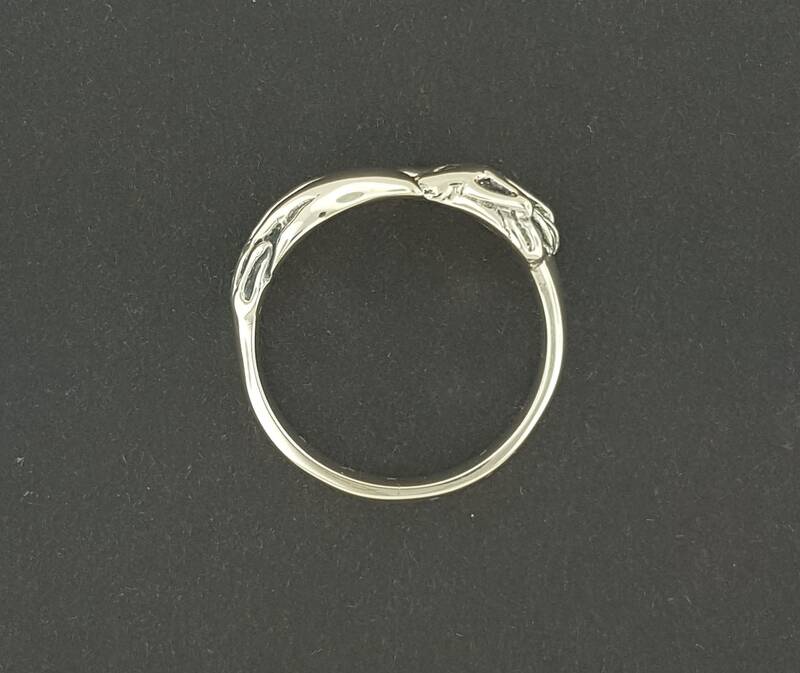 The ring is 1cm wide at the top, 4mm high, and the band is 6mm wide and 1.75mm thick. 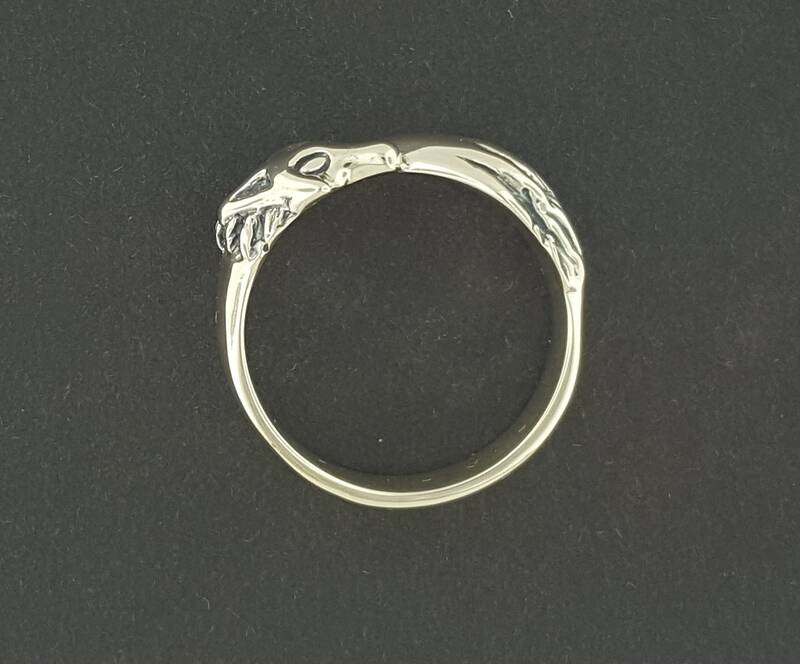 So if you love foxes, this will be perfect ring to show your passion! 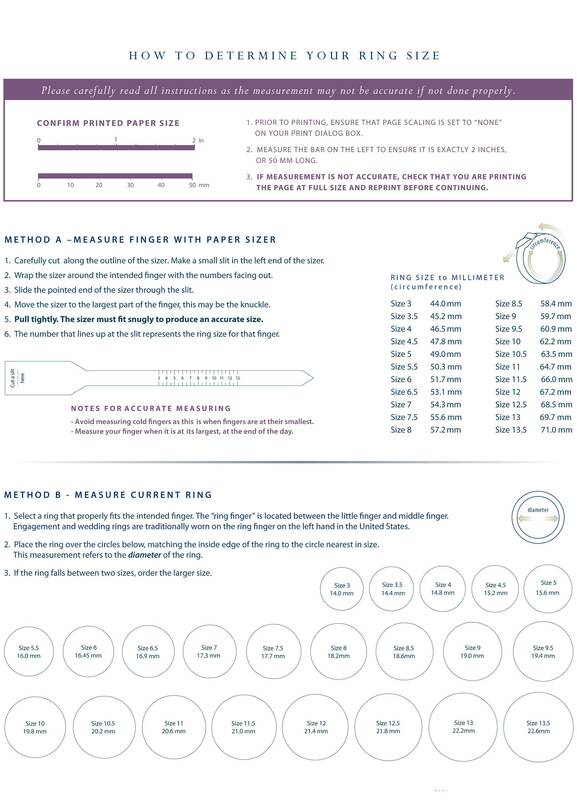 Also there is space in the band to engrave a name or date, and you can order the option in my engraving section. 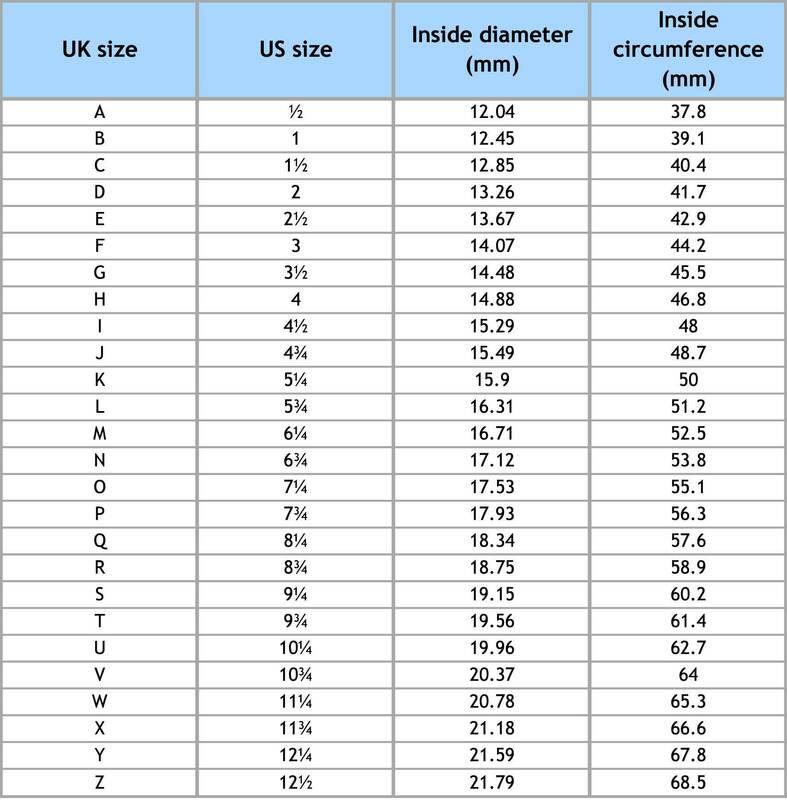 I also can make this in larger sizes upon request as needed. I can also offer the option to set gemstones in the eyes, just message me for price options. I carved this and may other pieces in green jewellers wax, along with a few other pieces I made for pet lovers. Hope to at one point make them with gemstones upon request! 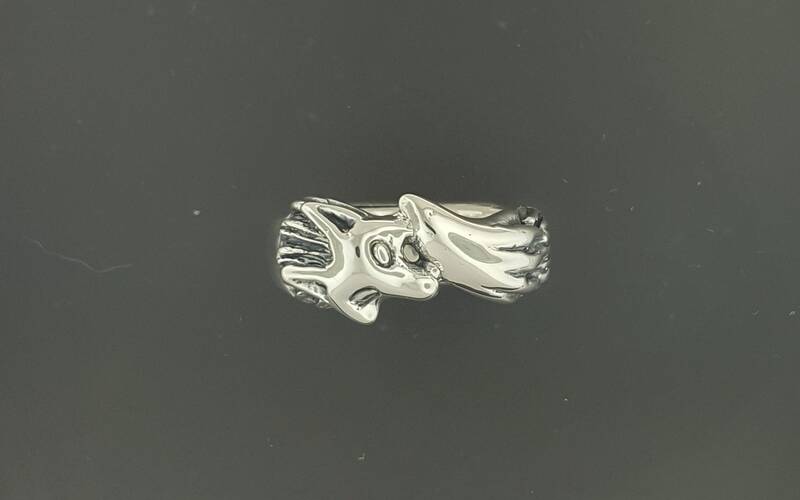 The original design was made as a wedding ring set with 2 fox heads facing each other, but I had promised never to sell that particular design again. So I made a modified ring based on the first one.